31 March 2013: In my little world, the week has been spent largely in the hospital, sitting with my wife, answering texts, helping to organise a team of friends and relatives to spend time at the bedside or organising transport. She is on the mend now, and after many tests (MRI, CT, Ultrasound, Lumbar puncture, Blood tests) and temporary theories, the answer seems to be Liver failure and Hyponatremia (low Sodium levels) - can be caused by not eating or drinking enough, exacerbated by the condition of MS. The Liver and the Sodium are rectified now, thanks to the wonderful NHS and QMC. This week, the reforms of the NHS begin, with the old PCTs abolished. World News... The UK (and parts of Europe) weather remains very cold with a persistent North East wind (makes you wonder what it must be like to live in Scandinavia and Russia if it is like that all the time). British politician David Miliband has resigned as an MP because of a move to the US (abandoning hope of being Prime Minister), and resigned a directorship with Sunderland FC because of the appointment of self confessed fascist Paolo di Canio as manager. The Cyprus economic crisis has been big news all week, as has the regular announcements from North Korea of the forthcoming state of war - seems to be fuelled mostly in the paranoid delusional mind of their leader. The British actor Richard Griffiths died (aged 69), most famous for being the teacher in the History Boys, and being Uncle Vernon in Harry Potter movies. Nelson Mandela has had another scare in hospital; for some reason the SA government is fearful that there will be unrest when he dies. 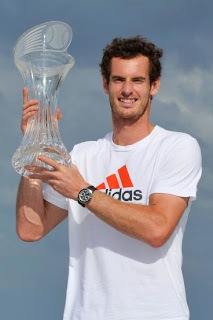 Congratulations to Andy Murray for becoming the world number 2 in Tennis, by winning the Miami Tournament. The Peveril metering figures are bad, but they are made very bad because the week just gone has been cold with freezing temperatures every night whereas the week in the previous year was amazingly warm. The ground temperature curve shows that the 'climb-out' from the winter low is long overdue, compared to the perfect curve shape of the winter from 2010 to 2011. 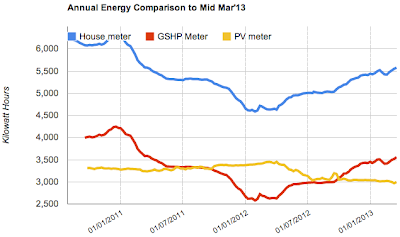 GSHP annual 3,708, biennial 3,165 kWh. Sunbox annual 2,465, biennial 2,729 kWh, we've had some Spring sunshine, but not enough! Ground Temperature 10.6ºC . aaaah, good! I think we have made it through the winter without going below 10.0º. Seasonal temperatures are likely to rise in April with the higher sun angle heating the earth. The thing that keeps our weather so cold still is the position of the jetstream and the High that is lingering north of Britain. 24 March 2013: Biggest event in my world was that my wife became extremely ill and Sunday 24th was spent having a 999 call, paramedics wheeling her out through the back garden (clearing the way with a snow shovel first) and then time in Emergency and later in the Acute Monitoring ward. She is now in the Neuro ward, recovering slowly, with a fine team of family and West Bridgford friends taking turns with transport and visiting. Elsewhere in the world.... it was the tenth anniversary of the Iraq invasion. Cameron did a U-turn on Leveson agreeing to set up a new Press Complaints body. 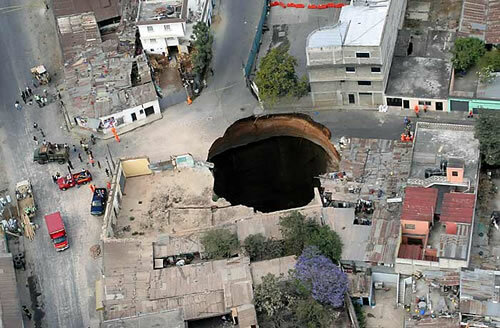 Cyprus banking crisis rattles on, with a European bail-out agreed with the EU. A new prize was created in Britain to be a bit like the Nobel prize, but it's the Queen Elizabeth Prize for Engineering. The first ever prize is for Tim Berners-Lee pioneer of the World Wide Web, and his associates to help to make the Internet what it is. Actor Frank Thornton died (mostly in British comedy TV like Last of the Summer Wine and Are you Being Served.) The Philpotts (evil people in Derby who set their house on fire with the children inside) had their trial, but I am not sure what the result was - still ongoing. Osborne produced a Budget, but apart from noting that yet again, the poorer are being asked to shoulder the burdens while the richest get their tax reduction, I can't remember anything useful about it (Bedroom Tax.....?) . Voyager One finally left the outermost parts of the Solar System after many years moving outwards (but it will continue to send back information if there is anything found). 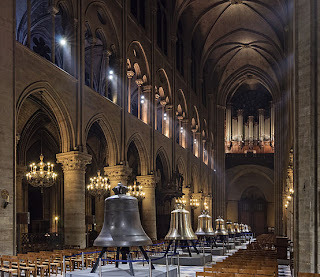 The Archbishop of Canterbury and the Pope were both enthroned in the same week, and although I have no time for clerics, I'll admit that they are perhaps slight improvements over the previous ones. President Obama visited Israel for the first time ever. Britain is in the grip of Arctic weather, with snow drifts all over, and all around the Peveril Solar house. Finally, the Bells of Notre Dame have been restored and rang fully for the first time since the French Revolution. As for the house meters, things are sliding to the worse, as they have for a while, but that is due still to the extraordinary weather we have been having. I'll do a fortnightly summary at the end of the month, on the 31st March. 17 March 2013: Lots of news in the world, here are a few notable points. Vicky Pryce and Chris Huhne were jointly condemned to 8 months in jail and departed in separate prison vans. In the world of skyscrapers, it was announced that the Pinnacle in the City will cease construction and Make will be commissioned to make the best use of the foundations that have already been planted. 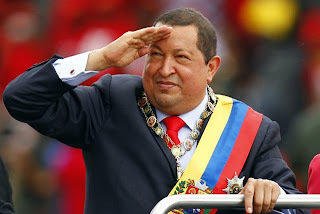 Two Sixths of the entire human race had a change of imperial leader in one single week. The Papal enclave took place in the Sistine Chapel, and which silly old man got elected to be leader of one sixth, 1.2 billion people? Jorge Bergoglio from Argentina becomes Pope Francis I (another one who missed the opportunity to be Sixtus VI). Remember that in many countries, the Catholic church plays a major part in hospitals, schools and have influence over governments. The other sixth was in China, and there was an orderly shift to Xi Jinping, leader for the next 10 years. Another irrelevant enclave took place in America with the CPAC2013, where the most nasty and despicable racist conservatives in the country get together for a few days of hating the President, headed by Sarah Palin and the odious chump, Donald Trump. The Leveson report was received, and after a year of saying the findings would be respected, Cameron sided with the press barons (deciding to do nothing) and found himself opposed by the majority of the country including both Labour and LibDems. At the end of the week, the BBC News abandoned the old Shepherds Bush circular building. GSHP annual 3,558, biennial 3,091 kWh. Oh dear, this Winter goes on and on, still having single digit temperatures, day and night! Sunbox annual 2,479, biennial 2,776 kWh, just give us some Spring sunshine! Ground Temperature 10.6ºC . Bumping along, but not likely to go below 10º for the 3rd winter running. 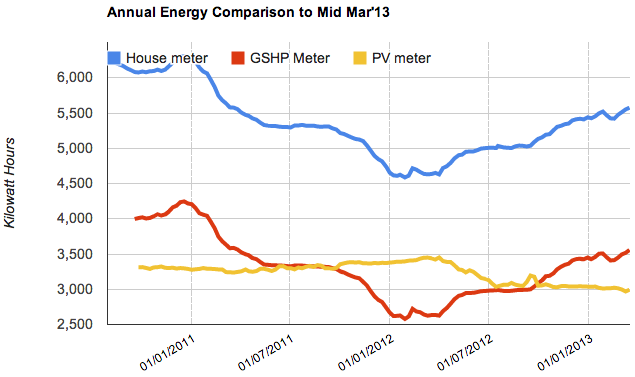 The chart below shows the relative consumptions of the House, the Heat Pump and the PV Solar panels. It shows how wonderful the weather of 2011 was, and how dreary the weather is now! 10 March 2013: Very busy week in many ways, I've been to Ecobuild 2013, and it was the funeral of my beloved Mother-in-Law on Friday, in Wrington, Somerset, and I had my 65th birthday with a 'nearly-surprise' party on Saturday evening. Worldwide, we had the death of Hugo Chavez of Venezuela, who will be embalmed like Lenin for eternity, experiencing deification, a bit like Kim Il Sung. Millions of people turned out for his funeral, and Ahmedinejad says he was as important as Jesus. In a London police-station, a man dressed as Batman brought in a man he had 'citizen' arrested for burglary and fraud and handed him to police! The Dow Jones reached an all time high, but did the odious Republicans 'blame' this on Obama? Of course not. 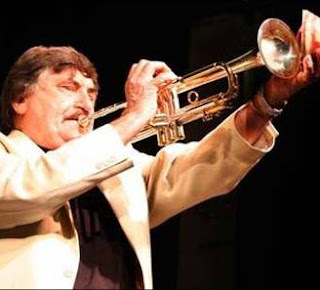 The trumpeter Kenny Ball died (82), and Vicky Pryce was found guilty of obstructing justice by taking Chris Huhne's points and keeping quiet about it for eight years. It is a bad week for the NHS which I think is changing this week to its new structure of being a purchasing authority, not a care provider. For the Peveril house, Weather-wise, it has been terrible. We have had continuous days of fog and grey skies, freezing night temperatures, ending in rain and snow, despite being only a few days from the Equinox - not a single minute of seeing the Sun. For the Peveril house, the figures are looking the worst since early 2010, this rainy year of 2012 is continuing into the first part of 2013. GSHP annual 3,517, biennial 3,073 kWh. Please Surya, don't let these go above 5600 and 3600! PV annual 2,968, biennial 3,207 kWh, and worrying that the biennial PV is closing with the biennial GSHP. There will be better times ahead, the weather will have to bounce back. Sunbox annual 2,489, biennial 2,774 kWh, nowhere near the glory figures of 3,000+. Ground Temperature 10.4ºC . Everytime I think we are on the springtime climb of the temperature curve, we go down again. There has not been a trace of sunshine for the entire week. 3 March 2013: First report of March, and there is so much world news to report, where does one begin!? and Which to illustrate!? Britain lost its much prized AAA rating from Moody's, a key government criterion, but once it was lost, they seemed to think it didn't matter so much. The Scottish Cardinal O'Brien resigned or was sacked by the Pope for sexual indiscretions some years back with young priests, and he continued to deny it, but by the end of the week, he came clean, admitted to the rumours, and thus admitted also to being a liar. And he had been bigoted about gay rights earlier, so he is a hypocrite. So Retire! The Eastleigh By-Election was won by the LibDems, amazingly, but this mainly seems to be due to the foaming-at-the-mouth jackals of the right scrambling for the same votes, with UKIP and the Tories being nearly equal but behind LibDem (Labour didn't bother with this one). Sir Ranulf Fiennes decided to quit his mad idea for crossing Antarctica in winter because he got frostbite in his left hand when out on a practice ski-trek - he suspects that a possibly diabetic condition may have made this more likely to happen. 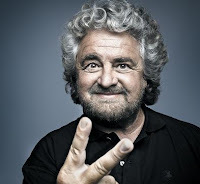 The Italian election occured, but it seems that as usual, there is no clear victor, but balance of power is held by a new start up party led by a comedian (the Five-Star party) holds the balance of power. No, didn't mean Berlusconi is a comedian, he is dangerous idiot. I refer to Beppe Grillo, whose Five Stars are clean water, more broadband, less corruption, cutting parliamentarian salaries, and other things, etc, sounds rather good. There was a balloon crash in Luxor, with 18 or 19 killed, and this struck a chord with us, considering our earlier disaster in Egypt in Jan 2010. Its amazing that there always seems to be someone with a camera now, and even for something that happened so quickly, there were video and photos of the balloon on fire. Must have been terrifying. The profits of energy companies (like Centrica and British Gas) have zoomed up because they put prices up last autumn, but the winter has been longer than normal, and more gas burned. More profit for shareholders, tough on the customers. Ex-Pope Benedict finally departed in a helicopter, and did a little tour of Rome before disappearing for ever. 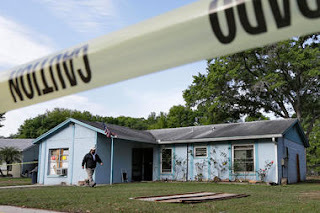 In Florida, a poor man was sucked into a sink-hole that suddenly appeared under his bedroom, he has never been found since and the house has been demolished. Finally, the Queen had a little stay in hospital with a gastro-enteritis complaint, but we are all glad to see her well again. For the Peveril Solar house, we've done OK, but there was some excellent sunshine in March of a year ago, so by computing exactly one year at weekly intervals, things look worse temporarily. GSHP annual 3,495, biennial 3,060 kWh. PV annual 2,996, biennial 3,223 kWh, the first time that PV annual has ever gone below 3,000. Sunbox annual 2,501, biennial 2,796 kWh, climbing nicely. 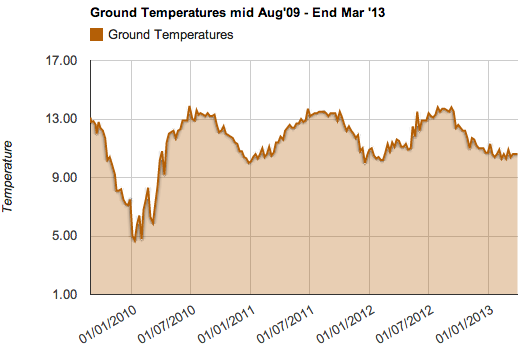 Ground Temperature 10.9ºC . We have had a week starting with overcast weather, and Friday + Saturday were sunny, helping my figures to look better. Hi Sami, one thing that none of those cynical bozos pick up is that the summer azimuth sweep of the sun is far wider in summer than it is in London. at the Arctic circle, it is 360º. so some rotation is a good idea as south is not as automatic a choice as it is at 51º latitude. It is extraordinary that there is no limit to the nasty vexatiousness of Martin. if I try to connect to the Navitron forum even as a Guest, I get a personal message saying that my IP number is blocked because i was having discussion on the forum but didnt buy from navitron. Navitron was not at EcoBuild 2013 this year, I am happy to see, hopefully, they didnt have the money for a stand. Waste of space. How sad that the company is discredited by the malicious stupidity of their forum moderators. "Does david think he has a perpetual motion machine, where does the energy come from?"..... deeerrr.... the SUN, Bozo! This is the UK's first entirely solar heated house, and it's their loss for not having some report of it on their forum.